Earth angels are essentially souls who are sources of hope, inspiration, support, and healing. While we are all ultimately human beings, some of us are more than just that. There are people who walk among us who are Earth Angels and whether you’re aware of it or not, you yourself might may even be one! Earth angels are essentially souls who are sources of hope, inspiration, support, and healing. They come into our lives at completely random, unexpected moments or when we need them the most. They’re here to help guide us on the right path and spread positive vibes, peace, and love. As such, you may know them by several other names which they’re called and people commonly refer to them as spirit guides, healers, and light workers. Regardless of what you’re familiar with and know them as, Earth Angels are those of us whose souls seem to exist on another dimension. At their core they are selfless and passionate, while their presence is calming and reassuring. If you think that perhaps you are an Earth Angel or know somebody who may be one, but are not completely sure, then check out the signs below. They all point towards someone being an Earth Angel, so if these apply to you, then you most likely are one! # You Are An Empath. This means that you are deeply affected by the emotions other people around you are feeling. 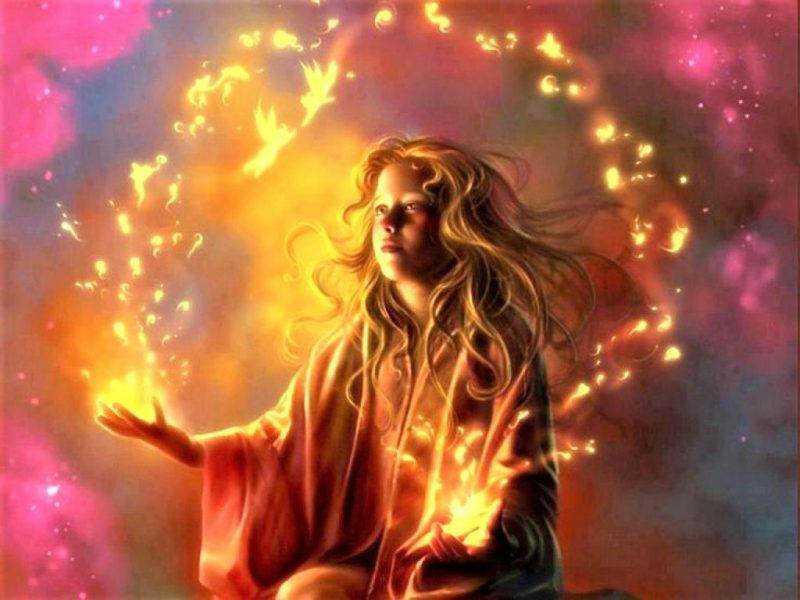 You’re highly attuned to the energy and vibrations they’re emitting, so much so that you end up experiencing them as well, and thus are greatly influenced and affected by them. # People Tell You That You’re An Old Soul. Whether you believe them or not, you undoubtedly show an awareness and wisdom beyond what your age lets on. # You Crave Alone Time. If you go too long without it you end up feeling drained and weak both emotionally and physically. You find solace in solitude, it’s a time when you can meditate and process your emotions. Time spent alone is what restores your inner balance and readies you for whatever comes next. You feel Drawn Towards A Certain Purpose In Life. Money, fame, fortune, all of those types of things do not appeal to you. Instead, you want a career that is mentally and spiritually fulfilling. Many Earth Angels have an overwhelming desire and need to be able to help or heal others, and so they often end up as the following; doctors, nurses, firefighters, EMTs, therapists, counselors, psychiatrists, teachers, acupuncturists, social workers, and so forth. # You Are Highly Sensitive. Oftentimes you find yourself overwhelmed by all the suffering and problems you see in the world. It affects you greatly and is a source of frustration and anxiety. # People Are Drawn To You For Advice. They seem to seek you out and come to you with their problems because they instinctively know you will both listen to them and help solve or work through them. Even complete strangers will initiate a conversation out of the blue about their troubles, and you always take the time to hear them out and respond. In fact, you love being able to help people past their issues. # You Loathe Violence And Suffering. Whether it is outright physical violence, starvation, pain, poverty, emotional hurt, evilness; whatever form it takes, you hate it. # You Have Vivid Dreams And Often Daydream. When you dream it’s intense and life-like. It’s also likely that you space out a lot and fantasize about magical, awesomely weird, or metaphysical things.